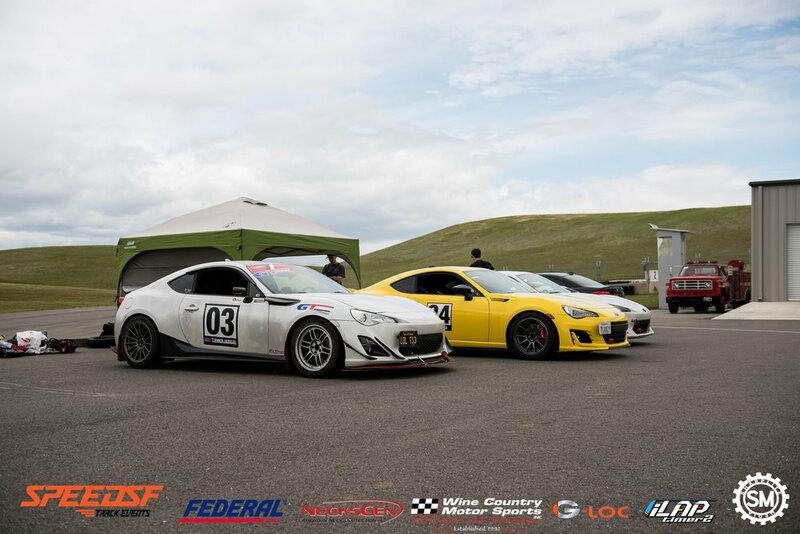 The NorCal 86Drive Challenge once again joined SpeedSF during the two-day event weekend at picturesque Thunderhill Raceway in Willows, CA. Round 3 came into town, and with it, 27 participants showing up in their FR-S/BR-Z/86 variants. There were newcomers in each of the groups, which is always appreciated! The Stock class featured 6 drivers, 1 of whom was brand new to the challenge. Welcome, Haven Latimore! The top three finishers were the following: Eric Lin (10 pts. ), Tor Anderson (7 pts.) and Brandon Simpson (5 pts.). The current standings feature Tor Anderson in 1st place with 24 points, Eric Lin in 2nd place with 20 points, and Joe Reifer in 3rd place with 9 points. Tor Anderson is still in the lead with 24 points while Eric Lin is in 2nd place with 20 points. Great job to everyone in the stock class! Street class featured two new drivers this weekend: Joe McGuigan and Aaron Trout. Welcome! A total of 10 drivers participated this weekend, with an amazing result for one of the drivers when one looks at the driver’s previous round results. Max Paolozzi, who only scored 3 points in the first two sessions, scored 10 points this round by securing 1st place! Sean Chou, took home 2nd place and 7 points, while Neal Wiebmer scored 5 points by taking home 3rd place. Sean Chou is barely holding to 1st place with 21 points, as Neal Wiebmer is hot on his tail with 20 points. Some great driving in the street class! The Touring class featured 1 new driver (Sean Estenson) and a total of 7 drivers participating in this round of the NorCal 86Drive Challenge. Jeff Nucum took 1st place and scored 10 points, while newcomer Sean Estenson took 2nd place and 7 points. Finally, Felipe Burga took home 3rd place and earned 4 points for the season. This should be an interesting season, seeing as the top 4 drivers are very close in points. Last but not least, the Unlimited class featured some of the fastest cars in this challenge. Garland Wong scored his first 1st place win this season, taking home 10 points. Brandon Yun secured 2nd place and 7 points, while class-leader Kevin Schweigert took 3rd place and 5 points. Another great round of driving by all of the participants from this weekend. Looking forward to the next event held at Sonoma Raceway on May 26!